Who should you back in the British Champions Sprint Stakes this October? Should you even take a gamble on the ante-post British Champion Sprint betting markets? What is the British Champions Sprint? Established in 1946, the British Champions Sprint was originally called the Diadem Stakes, after Diadem, winner of Royal Ascot's main sprint race, the King's Stand Stakes, in 1919 and 1920. After the introduction of the European Pattern in 1971, the Diadem Stakes held Group 3 status. It was promoted to Group 2 level in 1996. The race was given its present name and switched back to October in 2011. It became part of the newly created British Champions Day, and its purse was increased to £250,000. It now serves as the sprint-category final of the British Champions Series. The European Pattern Committee upgraded it to Group 1 status from 2015. 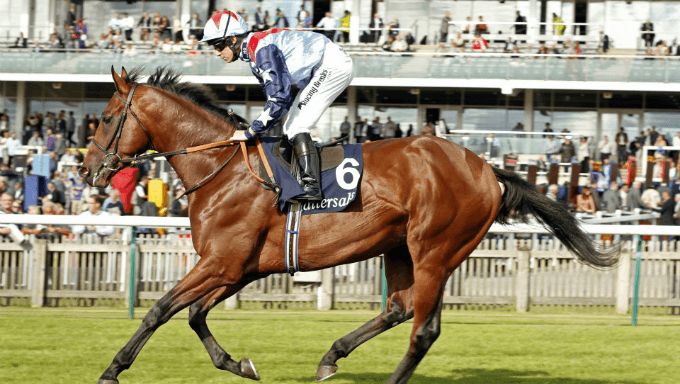 When looking at the ante-post British Champions Sprint betting, it needs to be acknowledged that its proximity to the long-established Prix De L’Abbaye at Longchamp means it will not necessarily be the primary aim for the top sprinters. It would therefore be unwise to back Battaash or Mabs Cross, who would be much more likely to run in the Abbaye, while other fancied contenders Harry Angel (7/1) and City Light (8/1) could go either way, and would be doubtful runners over a stiff six at Ascot in the event of soft ground, which must always be deemed likely in any British autumn. The Golden Jubilee at Royal Ascot, a Group 1 over the same trip as the British Champions Sprint, is an obvious guide, although the race this year was marred by the stalls incident which saw Harry Angel injured - and the winner has since been retired to stud. City Light, an unlucky second, is worthy of a mention given his performance, and he finished ahead of The Tin Man, Sir Dancealot and Librisa Breeze, all of whom could reoppose. The July Cup is another Group 1 over 6f which sees its winner missing from the entries, but the race is noteworthy for the solid efforts in defeat of Brando and Sir Dancealot (both of whom were uncomfortable with the pace going downhill), and the poor performance of race favourite Blue Point, who didn’t see the trip out after racing freely. That must count as a black mark against him, although he may be simply an Ascot horse, and he holds the course record over C&D. The Prix Maurice de Gheest at Deauville attracted a quality field of 20, although the most noteworthy aspect of the race was the bias towards the far side of the track, seemingly unexpected, as all but three of the field came to the stands side, including Librisa Breeze. He wasted a lot of ground tacking over from what was, in retrospect, a fine draw. He ended up poorly placed, and wasn’t knocked about as he finished well into fourth, a place behind The Tin Man, who again finished his race off very strongly to be third.James Garfield made most on the favoured far side to be second, while Brando again caught the eye, and was probably the horse most inconvenienced by the draw bias, racing away from all the other principals, and shaping well. City Light didn’t really get home having raced freely. The Sprint Cup at Haydock is the most recent trial, seeing Harry Angel flop, with The Tin Man beating Brando narrowly, the latter again stuck on the wrong flank, and marked up as a result. James Garfield, who had the run of things in the Maurice de Gheest, disappointed, with the heavy ground only a partial excuse. The horses who have continually drawn the eye in the key races have been ante-post favourite The Tin Man and Brando, with last year’s winner Librisa Breeze seemingly coming to a peak after a poor summer. The first-named of that trio is the one who looks most solid, but his win last time means he’s well found in the betting, priced at no bigger than 9/2 to win the British Champions Sprint with Ladbrokes - yet there isn’t a great deal between the three on balance. Brando, 10/1 to win with Black Type, disappointed in this race a year ago, but had been out of sorts in the run-up and is best forgiven that effort, while he was placed in this in 2016 and looks as good as ever. Librisa Breeze is an Ascot specialist, and while his form in Britain in 2018 is underwhelming, he could hardly have caught the eye more at Deauville and is also a generous 10/1 to win on October 20 with 888 Sport.